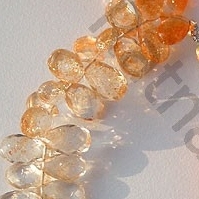 Balance and open your first, second and third chakras with powerful coral flat pear briolette gemstone beads. 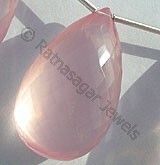 Ratna Sagar Jewels manufactures and exports an unparalleled collection of non-treated and 100% natural gemstone beads worldwide. 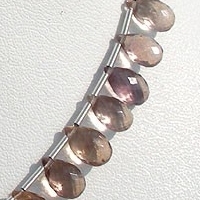 We strive to deliver impeccable and radiant stones, including Rutilated Quartz, Natural Sapphire precious gemstone, Natural Scapolite Gemstone Beads, Natural Oregon Sunstone and Fluorite Gemstone Beads in red-brown, crystal copper, transparent yellow and deep blue colors. 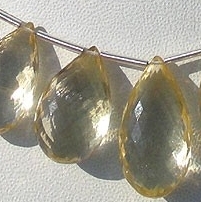 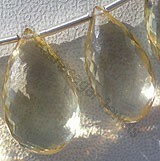 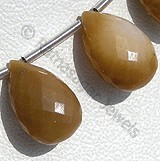 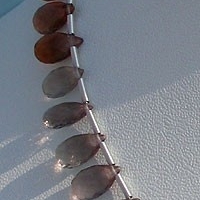 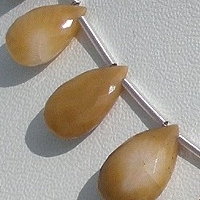 You can select flat pear briolette shaped stone of your choice from our large collection. 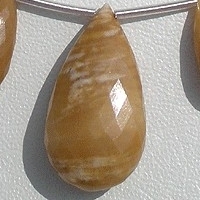 All our gemstones are AAA certified with different origin, such as Africa, Oregon, Madagascar, India, Thailand, Brazil and lot more. 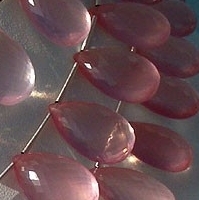 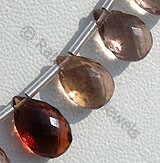 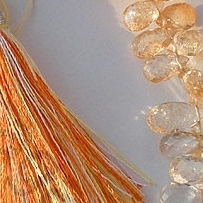 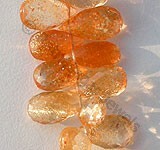 For more information on wholesale purchase of gemstone beads, please feel free to contact our online representatives. 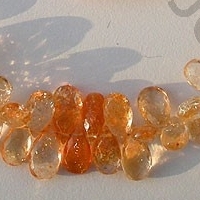 Natural Coral Gemstone Beads possess property of opaque and are available in White to Brown Color with Micro Flower Cut, Pear shape. 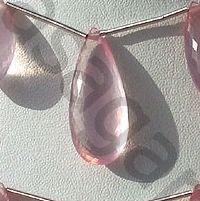 Natural Rose Quartz Gemstone exhibits a pale pink to rose red hue quartz, possess property of transparent and are available in rosy-pink color with micro flower cut, Flat Pear Shape. 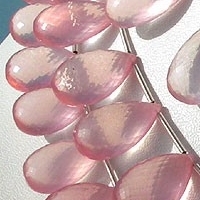 Fluorite Gemstone Beads is variety of halide mineral, possess property of transparent, with vitreous luster and are available in red-brown color with micro cut, Flat Pear Shape. 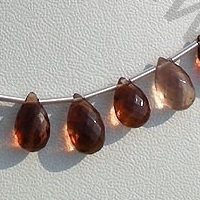 Natural Oregon Sunstone possess property of transparent and are available in clear-orange-red color with Copper crystals in micro cut, Flat Pear Shape. 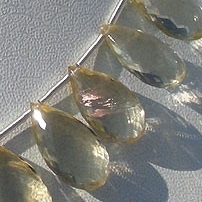 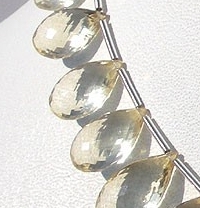 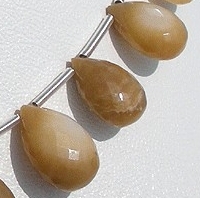 Natural Scapolite Gemstone Beads possess property of gemmy transparent and are available in light yellowish color with micro flower cut, Flat Pear shape.